Ted Edwards graduated from Duke University with a double major in Political Science and Sociology. He also received his Juris Doctor degree from the Duke University School of Law. 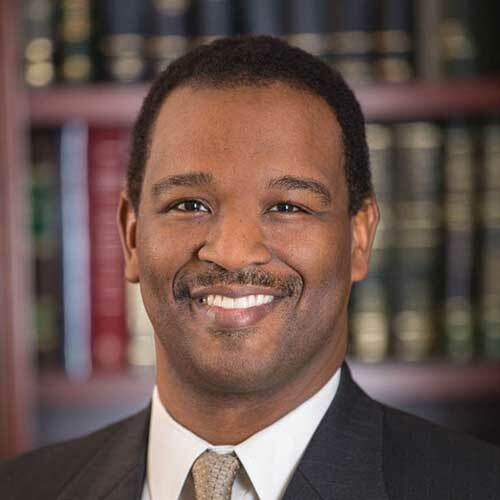 Mr. Edwards focuses his practice on commercial litigation and is a certified mediator. In 2006, Mr. Edwards was awarded the William L. Thorpe Pro Bono Attorney Award by the North Carolina Bar Association, which recognizes attorneys who provide exceptional pro bono legal assistance to low-income citizens in North Carolina. In 2011, he was selected for the North Carolina Bar Association’s Citizen Lawyer Award which honors attorneys for exemplary public service activities. In 2012, Mr. Edwards served as President of the Wake County Bar Association. Mr. Edwards is currently serving as a member of the North Carolina State Bar Council.